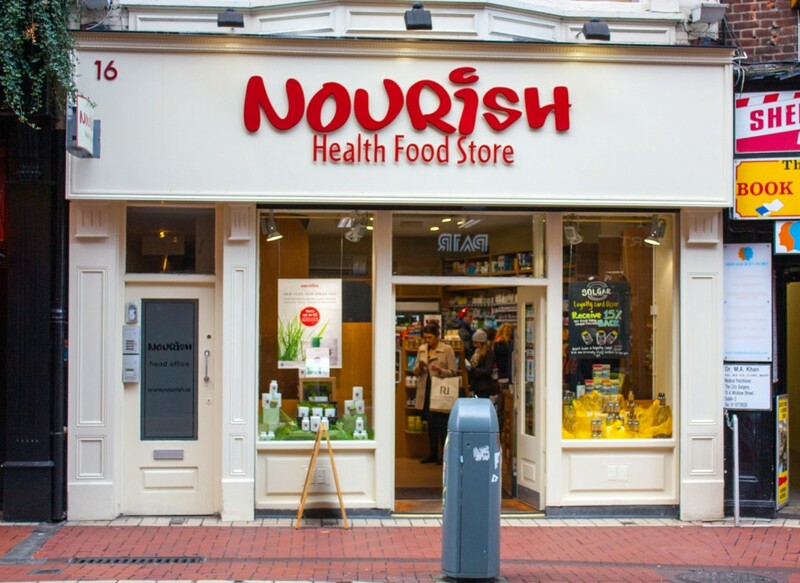 One of our most recent projects was to replace pillars and signage to the Nourish Health Food Store on Wicklow Street in Dublin 2. Due to a busy shop schedule this project was completed outside of business hours so as not to interfere with regular business in the lead up to Christmas. New hardwood panel pillars were added infront of new roller shutter guides. More traditional and stylish molding was added to the shopfront signage that attracts more attention. If you have an update to make to you shopfront, be it just pillars and a signage like this or new doors and windows aswell, we can help find the right match for you.